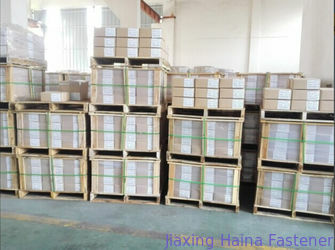 Thanks for Jiaxing Haina Fastener.Thank for Tony, Help me finish every order.We are very satisfy with each goods. 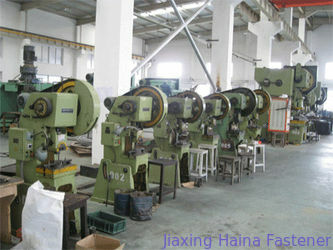 Jiaxing Haina Fastener co. Ltd was established in 2010, located in the hometown of fasteners jiaxing city. For many years of export experience, our products has been best-selling in Europe, the United States, the Middle East and Southeast Asia. 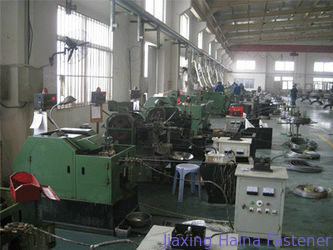 The products are manufactured by more functions machine, which is brought in domestic and foreign well-known enterprises. The products made are fully compatible with the international standards, well received by domestic and foreign customers. 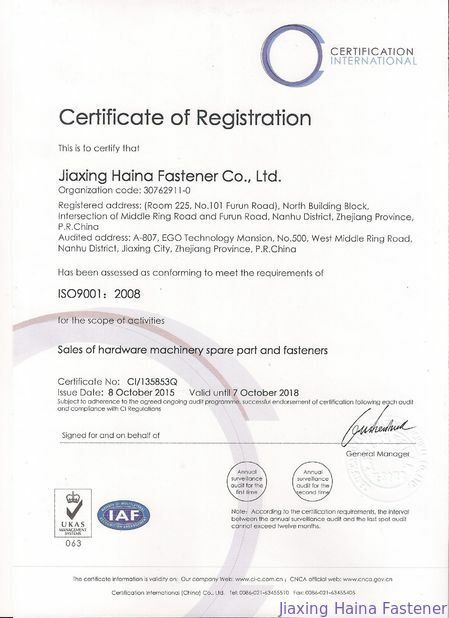 Through scientific management, Jiaxing Haina fastener Ltd company has been obtained ISO9000 certificate of Quality Managerment System, SGS and BV international certificate system of Make in China. Product standards including DIN, ISO, GB and ASME/ANSI, BS, JIS AS. 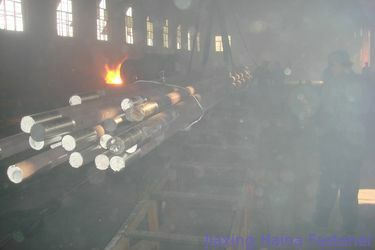 Main levels of carbon steel: 4.8, 4.8, 6.8, 8.8, 10.9, and 12.9 grade, the main material of stainless steel SS201, SS304, SS316 and various kinds of special stainless steel. Reasonable price and service paramount, forward to the operation principle of quality first and customer first, pursuit of excellence to create first-class brand, our aim is brand promoting development, management promoting earnings, warmly greeting home and abroad new and old customers to communicate and cooperate to seek greater success and brilliant future. 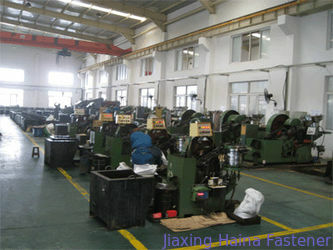 In 2010, Jiaxing Haina Fastener co.,Ltd established in the hometown of fasteners --Jiaxing city. 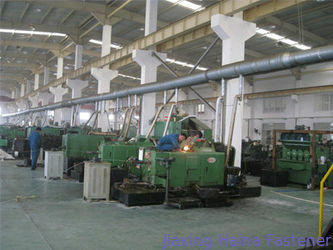 In 2011, Jiaxing Haina Fastener build first sales term and cooperate with Made In China Group. and pass ISO9001.2008 international quality systerm. 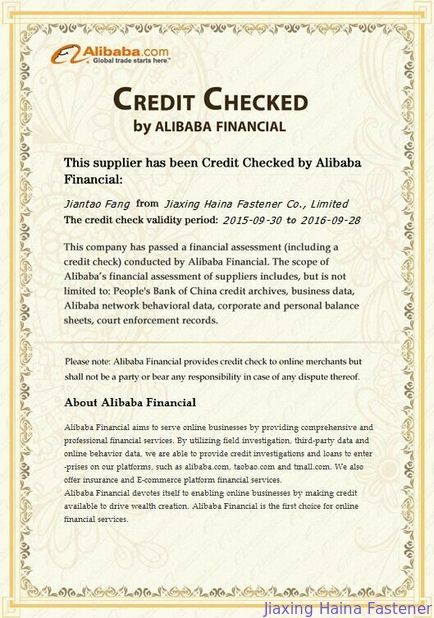 part customers is the world 500 enterprises. 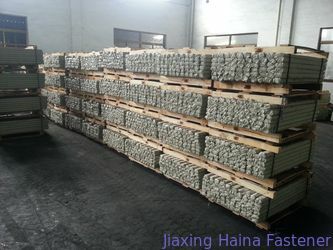 In 2015, Jiaxing Haina Fastener had completed the performance in USD 50,00,000 of all the year. 1.Professional Manufacturer:We only produce and sale fastener.Our factory have more 10years production experience.We can provide clients best price and fastest delivery time. 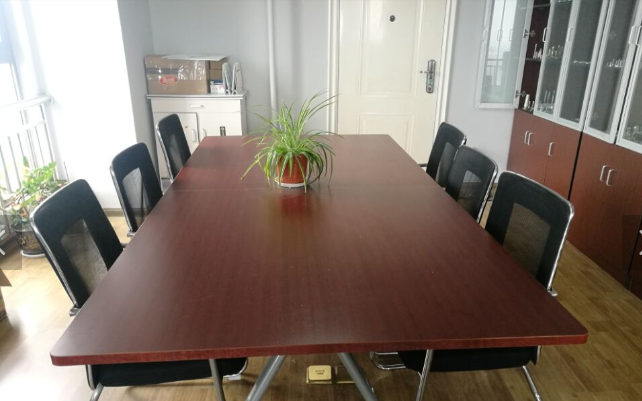 2.Professional Sales term:We have 20 peoples sales term, They have professional sales knowledge and everyone have more 2years fastener experience, Every month our engineers trained all sales man. 3.Strong after-sales:We have 3 engineers, they will inspect the goods at any time. and give professional test report or 3.1certificate. 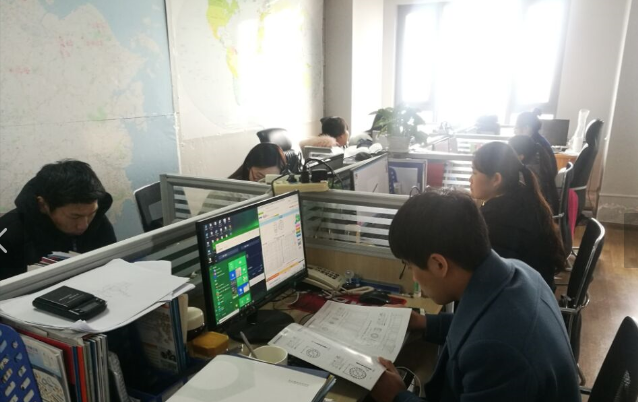 We have one 20peoples sales terms, Everyone have more 2 years fastener experience.and professional sales knowledge.We can help clients solve everything fastener questions.